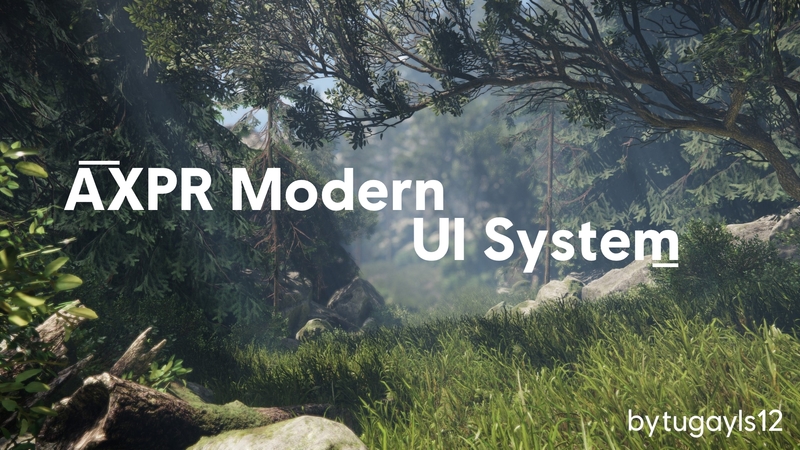 Note: This project only supports up to 1920x1080 resolution. ---> Easy and simple indicator that showing your health level and stamina. 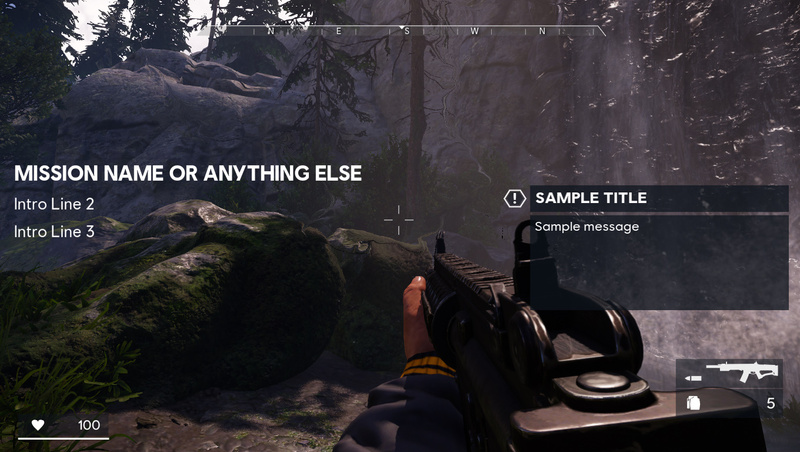 ---> Modern design ammo indicator, including weapon's image and current grenade count on your inventory pack. ---> I decided to remove minimap, so I can make that compass indicator. This indicator presents the compass for your current position. Also including the threat level. 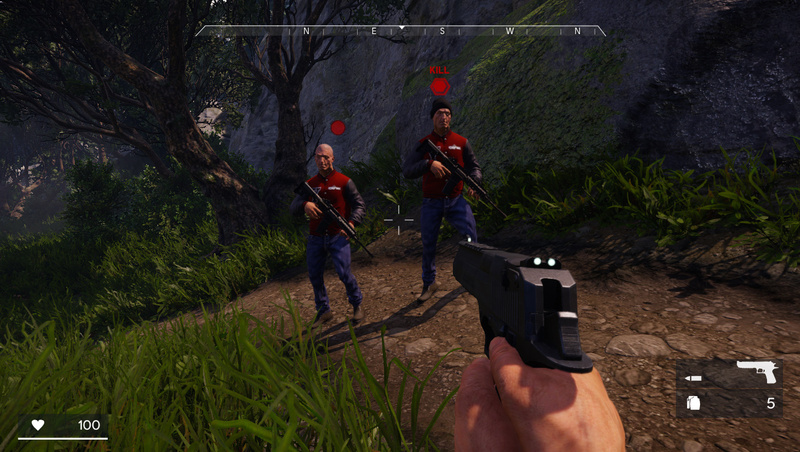 Compass becomes red if your threat level is high, and yellow when enemies get alerted. It's easy for tracking your stealthy. 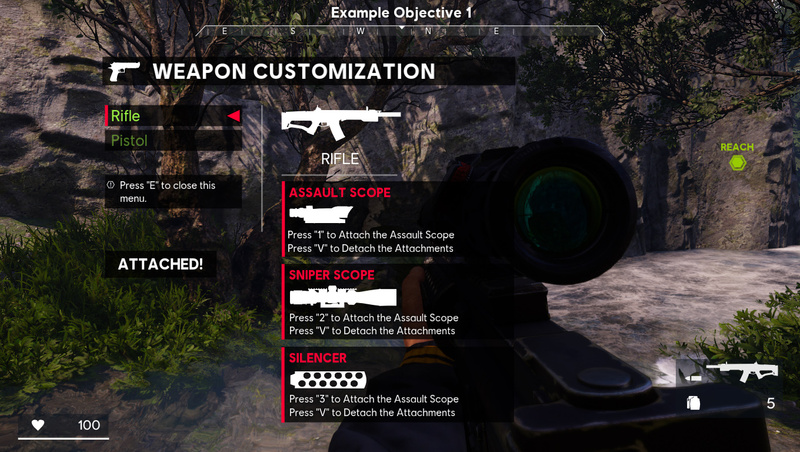 ---> I created a simple and easy weapon customization menu. This menu only works with Rifle and Pistol due to their accessories. 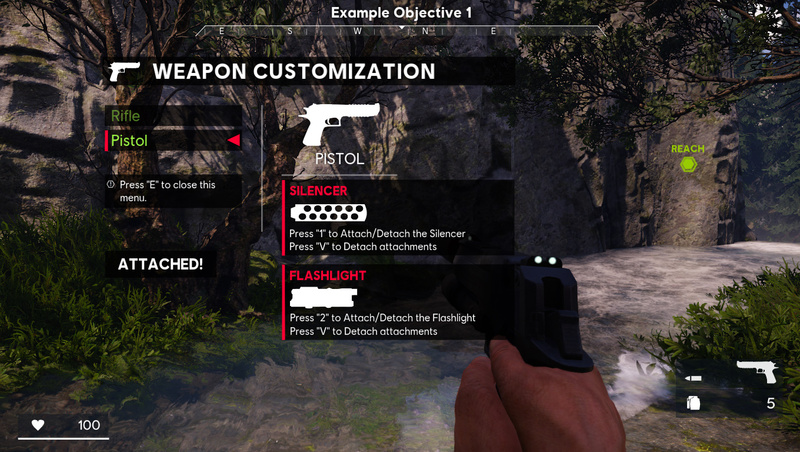 You can attach a accessory by pressing "1", "2" or "3" keys according to the attachment for selected weapon. When you press "Z" at the menu, weapon will be revert back to it's default model. You can access this menu by pressing "X" and you can close it by pressing "E" button. 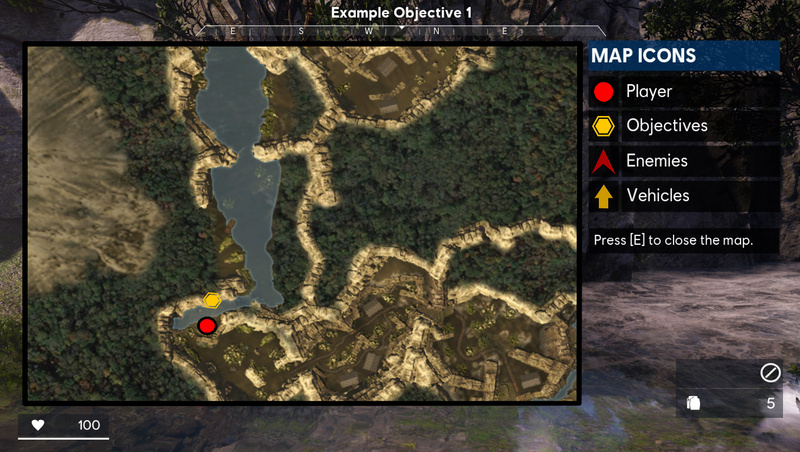 ---> When I remove the minimap, I decided to make it easy to overview the map for exploring the environment and objectives. It's shows your current position, enemies that activated by yourself, vehicles and objective icons. 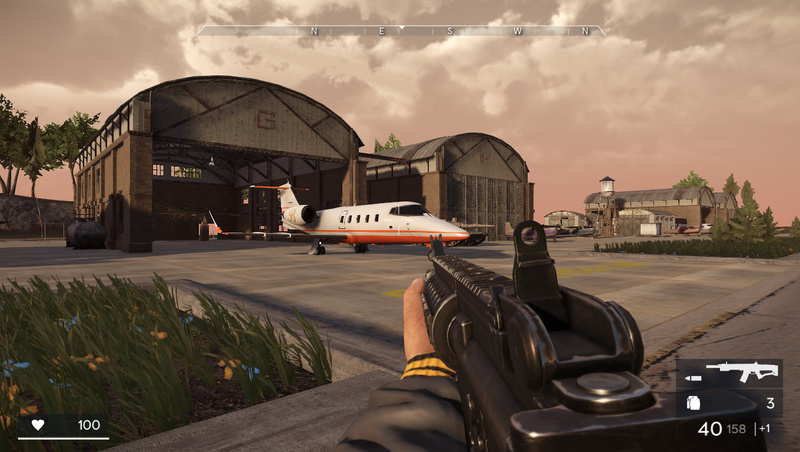 You can access the map menu by pressing "M" button in-game, and you can close it by pressing "E" button. ---> Sample message strings for using certain objects like door, usable objects, etc. Also you can add sample message for reminding something. ---> This box including title of message and message itself. You can use show or hide it whenever you want, by adding in the Flowgraph. ---> This feature including 3 lines for intro of your level. You can add it for your level's intro. 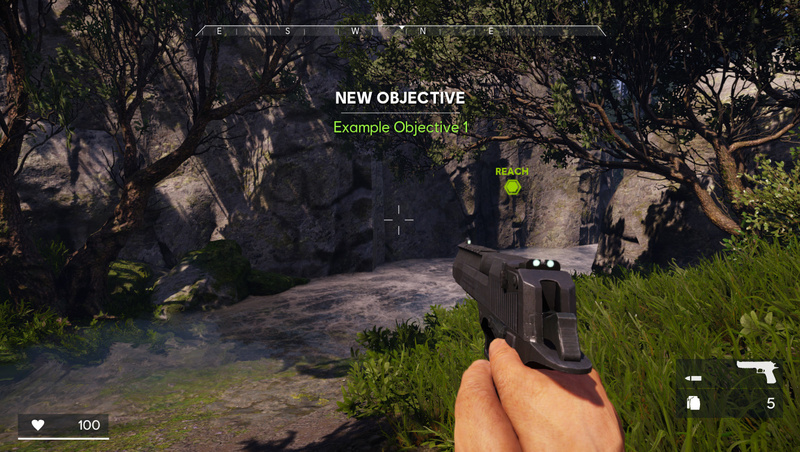 ---> When an objective becomes active, objective's description will be shown on center of screen, after some seconds, objective description will be visible at the top of the compass. ---> I made some tags for objects and humans. 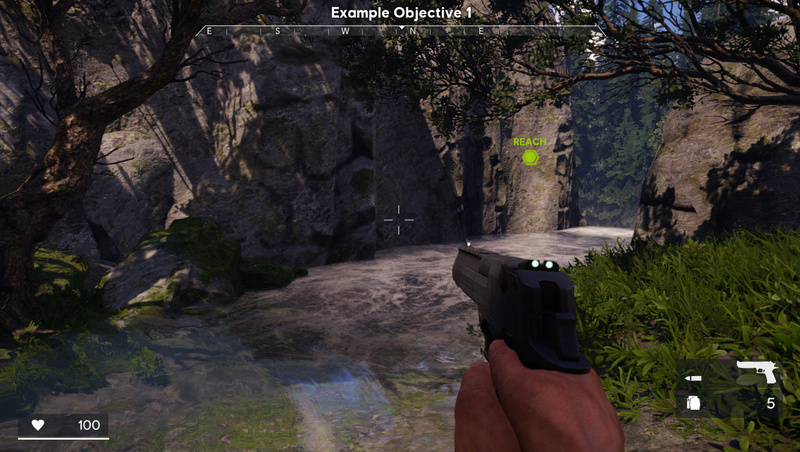 It's including Follow, Reach, Use and Kill indicators for reminding the objective. For humans, there's a enemy, enemy sniper and ally indicators. Also including a vehicle and simple ammo crate tag. First of all, please backup "gamedata.pak" and "english_xml.pak" on your GameSDK folder. Also backup the Libs\Config and Libs\UI folder (if it's available as folder). Open AXPR_UI_System.zip file and extract "gamedata.pak" file to your GameSDK folder, and "english_xml.pak" to GameSDK\Localization folder. Replace items if it asks. Also delete "Libs\Config" and "Libs\UI" folder if it's avilable as folder. I will update this system by fixing bugs and adding new features. Please notify me if there is a bug or recommend me something. 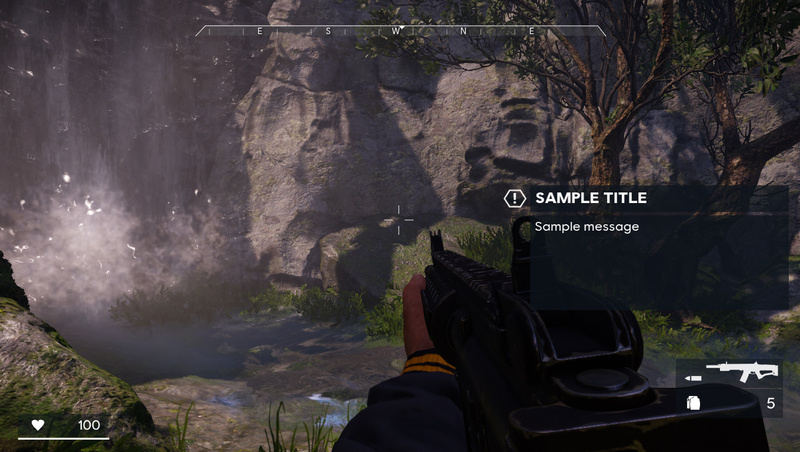 I wish that crytek would be thinking of remastering an excellent GameSDK sample. Anyway GameSDK is very good with bugs !! Last edited by tugayls12 on Fri Apr 12, 2019 12:25 am, edited 1 time in total.